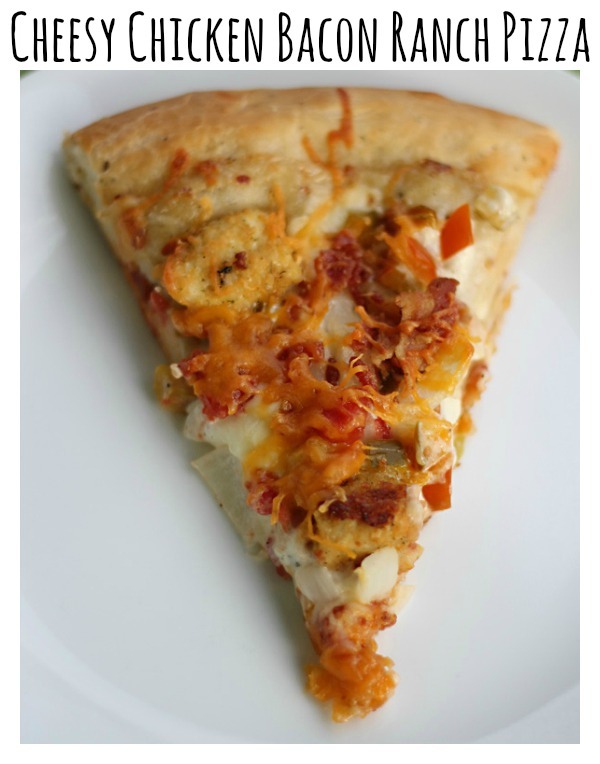 This Cheesy Chicken Bacon Ranch Pizza Recipe was created as part of a sponsored campaign for Collective Bias and Kraft. Pizza. I love it, but y’all know that by now. I love everything about it- creating the dough from scratch and watching it rise, dicing vegetables, and seeing the cheese melt through the oven door. When I’m feeling up to it (meaning not pregnant and swollen) I try to have pizza night at least once a week. Our normal night consists of a loaded supreme pizza for the adults and a pepperoni & cheese version for the little ones. 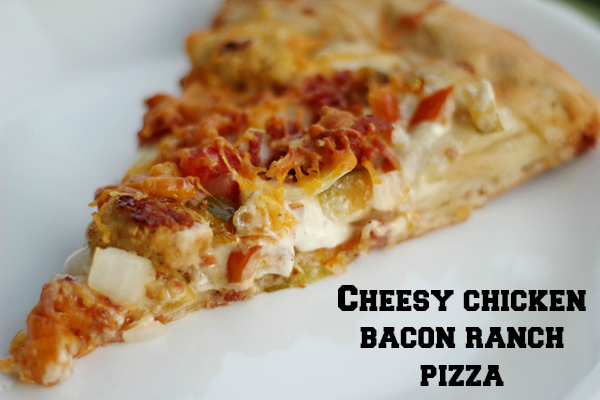 Lately, I’ve started experimenting with different flavors including a Mexican style and then this fabulous Cheesy Chicken Bacon Ranch Pizza recipe. Justin and I usually eat dinner out on Saturday night, but I spent a little time cooking this up and he gave it two thumbs up! Preheat the over to 375 degrees. Coat and bake the chicken pieces according to the Kraft Fresh Take instructions. While the chicken is baking, fry up ½ lb. bacon, dice and chop the onion, pepper, and tomato. Grease a pizza pan and sprinkle with flour to prevent sticking then roll out the dough. Remove chicken from oven and crank the heat up to 425 degrees. Spread ranch dressing over the pizza dough then evenly layer ½ cup shredded mozzarella cheese. Next add the onion, green pepper, and tomato to the pizza. Finish with the crushed bacon and chicken pieces. Top with with shredded cheddar cheese. Bake a 425 degrees for 18-20 minutes until the dough is slightly browned and cooked through. Since I wasn’t sure how to give the chicken the taste I was after, I decided to try the new Kraft Fresh Take mix and the Italian Parmesan flavor was perfect for what I had in mind. The Kraft Fresh Take made the chicken preparation and cooking a breeze. All I had to do was put the chicken pieces in the bag, zip it closed, toss them around, then put ’em on a baking sheet and into the oven they went. 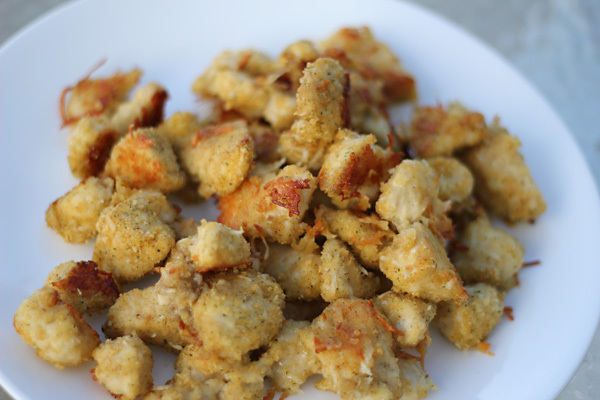 I cooked over 2lbs of chicken with one mix and had more than I needed for the pizza so we snacked away on the Italian Parmesan baked chicken strips while waiting for the pizza to finish. 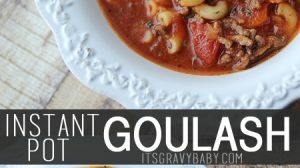 I’ll definitely be picking it up again for quick dinners for the family as well as trying to new recipes. 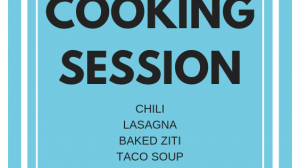 There are several flavors available for both beef and chicken, so lots of possibilities! You can find Kraft Fresh Take with the refrigerated items. I found right next to the Kraft shredded cheese at Walmart. You can see more photos in my Google+ album. Before heading to the store, be sure to print a couple for $0.99/1 bag Kraft Fresh Take. 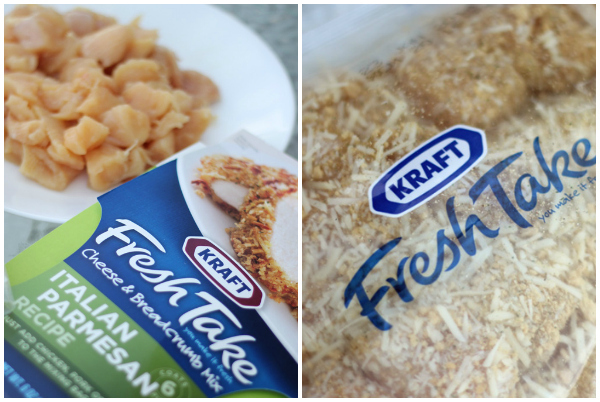 Have you tried Kraft Fresh Take yet? Which flavor is your favorite? ohhh yum! that looks so good! I will have to try this! 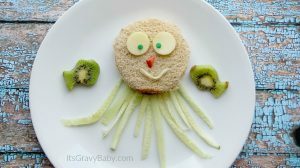 Oh wow, this looks so delicious! 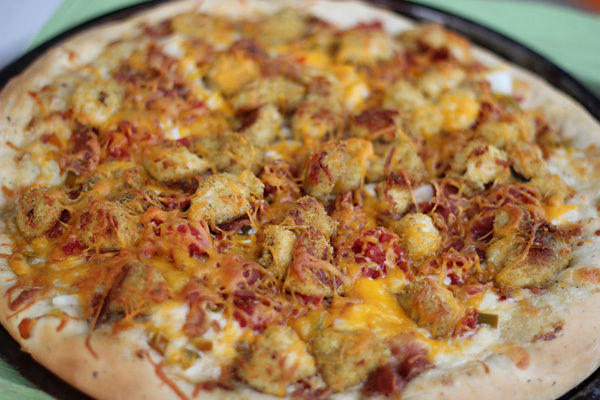 I’m a big fan of cheese, chicken, bacon, ranch…all my faves! Wow! This looks amazing. I have to try it because bacon and pizza are my favorite foods. Cant wait. We have not tried them yet! That looks so good what you made! I think the family would love that!